The Show Your Shelves Some Love Challenge is over, and unfortunately, it will not be returning in 2018. As far as goals go, I sort of bombed the challenge. While I read far more than 51 books from my TBR, I bought just as many physical books. I was only supposed to buy one physical book and only use the money I got from selling books to purchase ebooks. I also only participated in a couple of the monthly discussions. At the beginning of the year, I determined that I had 293 unread books sitting on my shelves or in my Kindle and Nook. While I knew that wasn’t all of them because I hadn’t scanned all of my books into Goodreads yet, I was way off from the actual number. One of my projects for this year was to update my TBR shelf on Goodreads, and I did finally get around to doing that. The total number of unread books I own is a whopping 553!!! That is after finishing 101 books this year and 5 that I’m currently reading. Since there won’t be a #ShelfLove challenge next year, I’m probably going to find another TBR challenge of some kind to help me whittle down that ridiculous number. I’ll also continue to participate in Down the TBR Hole. So, if you know of any TBR challenges that aren’t too complicated, leave me a link in the comments! Published on April 23, 2017 April 22, 2017 by Rachelle J. For March and April, the Show Your Shelves Some Love Challenge participants are discussing the oldest books on our shelves. I knew I had some books on my shelf that had been there for several years, but I was a little shocked when I realized the book I’ve owned the longest and still haven’t read has moved from place to place, country to country with me since 2005! “The Holy Barbarians” by Lawrence Lipton – This book was mentioned in an episode of Gilmore Girls. It wasn’t an easy book to find at the time, especially since I was living in Korea, but I tracked a copy down through a used bookseller that didn’t have a problem shipping to an APO. I was a bit obsessed with the Beat Generation and majorly obsessed with all things Gilmore Girls; otherwise, I wouldn’t have gone through all the trouble of finding it. “Memory Mambo” by Achy Obejas – After my Abuelo passed away, I began finding and buying any book that might bring me a little closer to the Cuban part of my family. “Skin Trade” by Laurell K. Hamilton – I bought the hardcover when it first came out in 2009. 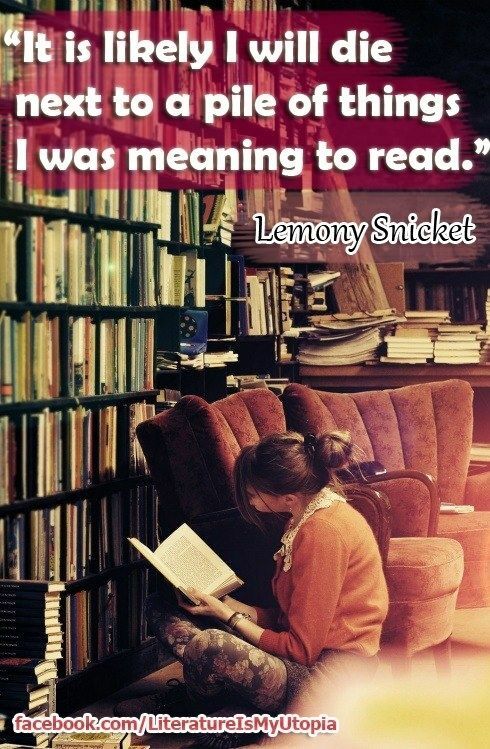 I was only a book or two behind in the series at the time. Now there are 25 in the series (“Skin Trade” is #17), with the 26th due out in June of this year. I’ve got a lot of catching up to do! Jess is disappointed in me. “The Scarlet Letter” by Nathaniel Hawthorne – This book, and the next three, were bought free on my brand spanking new first generation Nook right before I deployed to Iraq in 2009. “Book Lust” by Nancy Pearl – Always a fan of books about books, as soon as I saw this offered on Nook, I snatched it up. “Hiking Alone” by Mary Beath – I purchased this while on a road trip in 2011. I had stopped for the night in Albuquerque, NM and when I got up the next morning, I realized my hotel was just across the street from the Indian Pueblo Cultural Center. “The Old Curiosity Shop” by Charles Dickens – I bought this from a little independent bookstore and coffee shop in Utah during that same road trip. Their largest cup was “The Hagrid” and I’ve wished that coffee and tea shops everywhere offered “Hagrid”-sized drinks ever since. It is now a goal of mine to clear these off my TBR this year. What are some of the oldest books on your shelf? I’m joining the Show Your Shelves Some Love Challenge again! Below are my goals. Read at least 51 books from my personal library that I got before January 1, 2016 (my shelves and I are going steady). 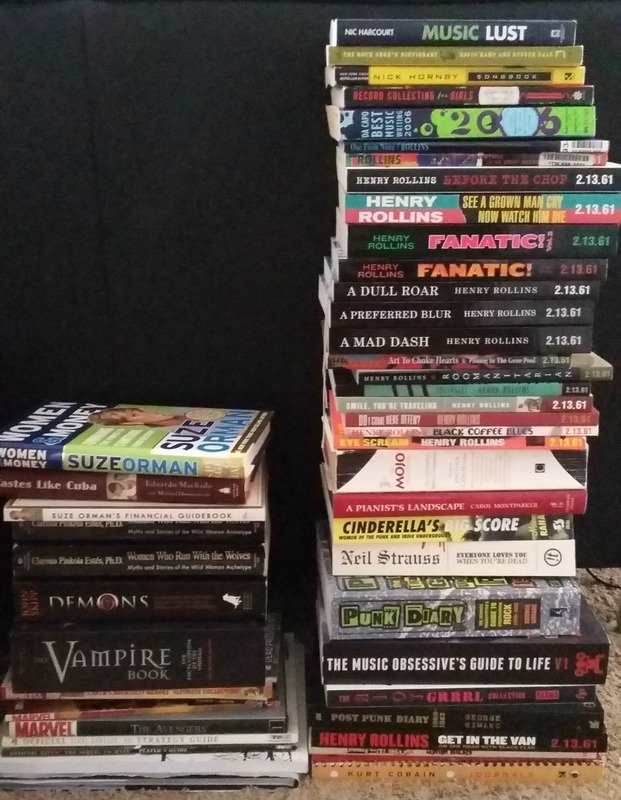 With the exception of one book, I can only buy books using the money I get from selling books to the used bookstore. 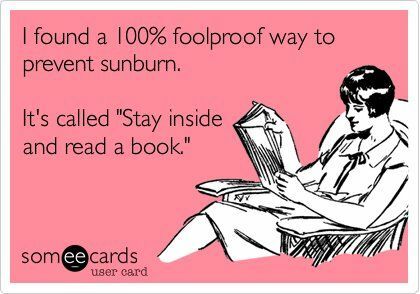 I can “buy” as many free books as I would like, as well as accept ARCs and enter giveaways to my heart’s content. If I’m purchasing ebooks with my book money, I may add on the audio narration without it counting against my book money. To me, adding on the audiobook is like buying a second copy of a book I already own. Participate in the monthly discussion posts. I didn’t do so well with this goal last year, but I’m hoping to get back to writing a discussion post every month. These are, of course, only my physical books, and not all of them are books I haven’t read yet, but the majority of them have never been opened. 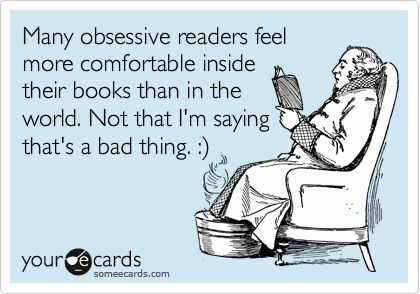 Total, I have 293 unread books sitting on my shelves or in my Kindle and Nook, according to my TBR shelf on Goodreads. However, I know that’s not all of them. I don’t know how close it is to last year’s 400+, but considering I acquired a few more books and only read 58 of the ones I got prior to 2016, I’m sure it’s not far off. One of my projects this year will be to update my TBR shelf on Goodreads to get a more accurate total (most of the ebooks on my Nook aren’t on it). 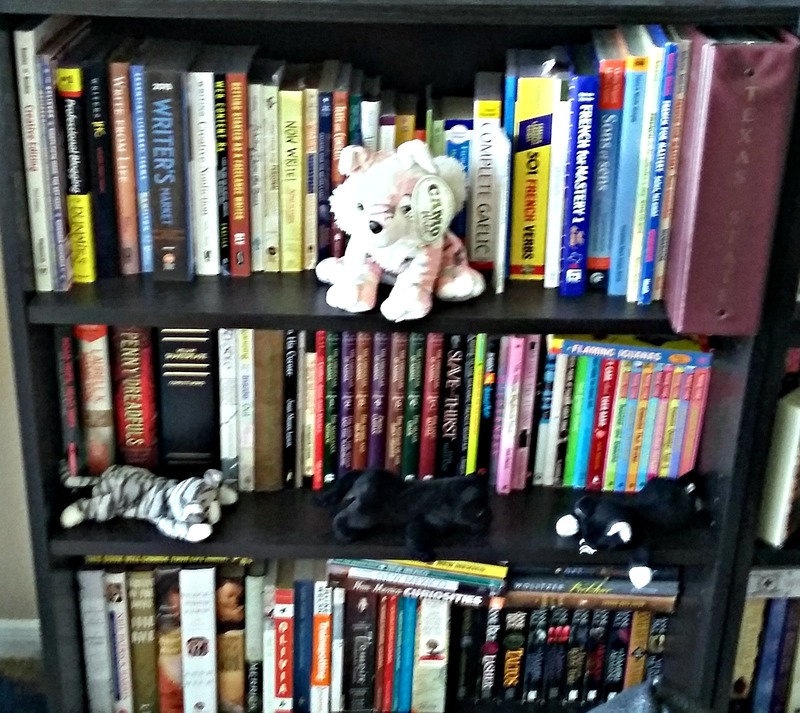 #ShelfLove – End of Year Check-In! This is it! The last month of the #ShelfLove No Book Buying Challenge! Those of us participating are discussing how we did. For those of you who don’t remember, I chose not to purchase any books this year. Free books, of course, didn’t count. However, I didn’t meet this goal. I ended up purchasing several books at the Texas Book Festival. I did succeed in reading at least 51 books that were already on my shelves…or on the floor. Yeah, lots of books, but I got rid of a lot of them, too. I plan on participating again next year, but that’s for another post. Over the years I’ve been in one group or another having to do with politics, feminism, or a specific social issue that took precedence in my life for one reason or another. None of those groups provided me with what I was looking for or inspired me to get more involved. Whether they were all action and no talk or all talk and no action, they weren’t good fits for me. When I started this blog, I began connecting with other book bloggers and discovered the best community I have ever considered myself to be a member. This has been especially true during this election cycle when I began seeing my social media feeds turn more and more negative. I began unfollowing or muting people whose posts started trending towards political rants. I was especially quick to unfollow those who made blanket statements about whole groups of people or implied that replacing misogyny with misandry was acceptable. However, I continued to follow those of you in the book blogging community because your friendship mattered more to me, I didn’t consider you to be strangers, and you occasionally said something so inspiring or spot-on that I made an exception. I had a few heart to heart conversations with some of you and I’m glad I had those conversations and continued to read what you had to say whether on your blogs, Twitter, Facebook or Litsy. Thank you, fellow book bloggers, from the bottom of my heart, for providing me with a place that I feel at home. Suzanne Collins, thank you for Mockingjay and giving me the ability to heal. Diana Gabaldon, thank you for writing historical fiction about an intelligent woman’s romantic relationship that isn’t just a trope-filled bodice ripper. J.R.R. Tolkien, thank you for giving the world the true history of the Hobbits and Middle Earth and making me a fanatic for the Fantasy genre. Dr. Seuss, thank you for writing the best books a kid could learn to read. If it weren’t for you, this introvert wouldn’t have discovered her love of words and her ability to escape to other worlds whenever needed. C.S. Lewis, thank you for The Lion, The Witch, and the Wardrobe. I have never looked at wardrobes or armoires the same since. Stephen King, thank you for writing the scariest book I have ever read, IT, and one of my all-time favorite Fantasy novels, The Eyes of the Dragon. Also, thank you for showing me how evil can twist seemingly innocent things into something horrible and corrupt in Needful Things. L.M. Montgomery, thank you for Anne of Green Gables. Anne is my spirit animal and without her, I would have never learned that I am perfect just the way I am. Katherine Paterson, thank you for Bridge to Terabithia, the first book to make me ugly cry. Roald Dahl, thank you for Matilda and giving me the dream of one day escaping the family I was born into but never belonged. John Lenahan, thank you for writing Shadowmagic and offering it for free on podiobooks.com. Without you, I wouldn’t have discovered how much I enjoy listening to audiobooks. Ann M. Martin, thank you for “The Babysitter’s Club” series. I never enjoyed babysitting, but I loved every moment of reading your books during hot Summer days when no one but myself seemed to realize that being outside was over-rated. Jenny Lawson, thank you for Let’s Pretend this Never Happened and Furiously Happy. I don’t think I’ve ever laughed so hysterically while reading. Also, thank you for the phrase “Depression lies”. Rainbow Rowell, thank you for Eleanor and Park, the first book, not counting anything by Dr. Seuss, that I immediately re-read as soon as I finished it for the first time. Anne Rice, thank you for Interview with the Vampire, the book that started me on my vampire obsession. Brontë sisters, thank you for getting me hooked on Gothic literature and the Classics. Laura Ingalls Wilder, thank you for making me fall in love with historical fiction and giving me my childhood go-to books to read when I was sick. Edgar Allen Poe, thank you for making my Freshman study hall periods more interesting and giving me a much-needed distraction from my Algebra homework. P.S. Thank you to all the authors I haven’t mentioned who have written books that made me clutch them to my chest, sigh, and wish there was more. You make it worth getting out of bed in the morning, even after staying up all night to read. A lot has changed in my life since I started this year’s Show Your Shelves Some Love challenge. I got a full-time job. I moved to a new apartment. I began to truly focus on my health. With all of those changes, I’ve come to realize quite a bit about myself that I didn’t previously know, and books have become an even more important part of my life as a result. My TBR shelf before I moved. That doesn’t have much to do with #ShelfLove, other than the obvious (books, of course), but my recent move to a bigger, but very differently configured, apartment made me greatly appreciative of this challenge’s existence and the lovely women hosting it. 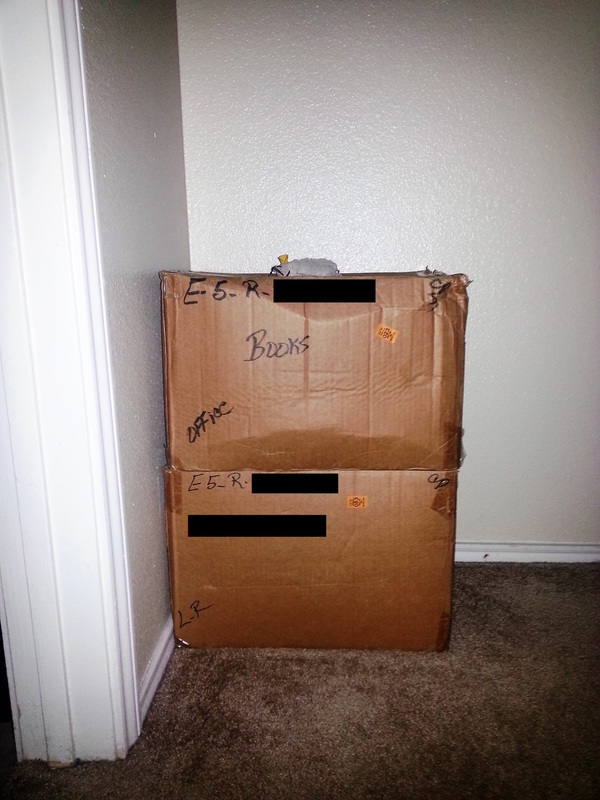 I’ve discussed many times before how my book collection has caused quite a few problems when it comes to moving. There’s the back-breaking weight, the cost of packing materials, and then the process of unpacking and reorganizing. Ok, that last one is kind of fun. Alright, a lot of fun. Only 2 of my book boxes before I moved. The other 5 or 6 were in storage. For the first time in nearly seven years, I finally cut down my collection and moved to a place big enough to have all of my books in one place and easily accessible. No longer do I have to drive out to my storage unit and dig through boxes to find that *one* book I want to read or loan to the Boyfriend. Granted, not all of those books are on shelves, thanks to my shelves still being in storage until we have the money and time to shut down the storage unit for good, but all my pretty lovelies are READily available 😉 and that makes me a happy gal. My TBR shelf now. Though it doesn’t appear to be any different, it really is. Though the main purpose of this challenge is to read the books we already own, and I’m definitely doing that, it has also made me rethink the books I choose to keep. I was holding onto a lot of books I knew I would probably never read, but the pressure to read them because I bought them was causing me unnecessary stress. I finally decided to take them to the used bookstore. I thought letting go of these unread books would be difficult, but I didn’t shed any tears, and those books are better off in the hands of someone who will actually read them. So far, I’ve made over $50 off those books and I’ve got another box that is halfway full. Since my job hasn’t made me rich, that extra money means that I could afford to buy myself some exercise clothes that actually fit and are cute and comfortable so I’m more likely to get off the couch. The remaining books after the purge. What does concentrating on my health have to do with #ShelfLove? 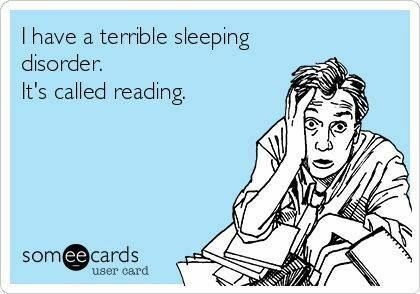 It means I’m reading more. Not only am I setting aside time every night to read as a form of self-care, I’m also reading while I exercise. Whether I’m reading a book on my Kindle while I’m on the treadmill or listening to an audiobook while I’m walking during my breaks at work, I’m getting through my books much faster than I did last year. I’m already at the halfway point of my goal of reading 51 books off my TBR pile. Last year I was about five books behind. Of course, I was still in college and taking Summer courses to finish my degree faster, but I wasn’t making as much time for exercise, either, and there’s nothing I’d rather do more while I sweat than read. Overall, the changes in my life have improved my relationship with books and reading. I didn’t believe that was possible, especially since I was sure my new job, moving, and exercising more would all cost me valuable reading time. Instead, the opposite has happened, and maybe this challenge has something to do with that. Perhaps my determination to stick with it has made me come up with workable solutions. All I know is that before #ShelfLove, and before I started blogging, I was barely getting through half the books I now read in a year, despite owning double the number of books I own today. This month’s #ShelfLove discussion is all about the real places in books that we would visit. While I would love to say I’d go on a road trip across the US, visiting all the literary spots that American literature has to offer, I realized after being honest with myself that the literary locations I want to travel to are, with one exception, in Europe. Without further ado, here is the literary vacation I would take if time and money weren’t an issue. If you are someone who knows me well enough to know what my favorite series is, then you would also know that the first place I would visit, and where I want to someday move to, is Scotland. Particularly the Highlands of Scotland, but, thanks to the Boyfriend’s Scottish roots, I would also traipse around the Lowlands. I would probably need a year to see every little spot and visit every library and bookstore. I wouldn’t spend nearly as much time in England, but it would still take me awhile to see everything because I would visit for two reasons. The first being that I would have to visit every real place mentioned in the Harry Potter series. 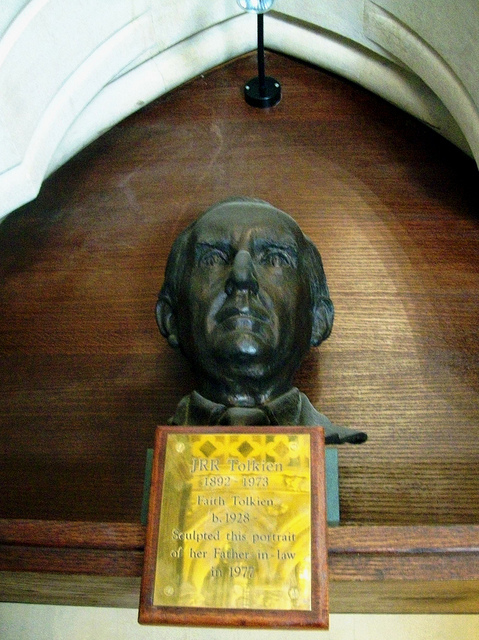 The second being that I could not go to England without seeing anything and everything related to J.R.R Tolkien. Also, I would want to stay in Podditon. Perhaps half a year would suffice. I would spend even less time in France, but I added it to my list of literary vacation spots after I read The Little Paris Bookshop by Nina George. The idea of slowly making my way down the Seine in a barge full of books and stopping for a long visit in Cuisery while improving my spoken French seems like the perfect way to spend a lazy month or two. This is another obvious choice if you know me well enough to know my all-time favorite book. Thanks to that book and The Lord of the Rings books being made into movies, I can now visit the home of my people, Hobbiton, as well as other Middle Earth locations. I would probably only stay here for a week or so before heading back home to Texas. If you won the lottery or had a seemingly endless trust fund and lots of time to kill, where would you go? For this month’s #ShelfLove discussion, participants are supposed to write about their local library. However, I’ve done that before. A couple of different times. I’ve also written about the important role libraries have played in my life. Libraries have had such an enormous impact on my life that I want to be a Librarian. Unfortunately, that’s several years away, and I haven’t set foot in a library since before I graduated. I’ve stopped myself from checking out any books because I have so many at home that my shelves are struggling under the weight. So, instead of writing about a library I haven’t been to in several months, I’ve decided to re-share those older posts along with a few links about libraries and librarians. This month’s discussion for the Show Your Shelves Some Love Challenge is supposed to be about our Book Boy/Girlfriends. However, I don’t have any. I was going to bow out of posting anything this month, but then I read one of Terri’s posts over at Second Run Reviews. It was about her lack of a Book Boyfriend because her Husband already possesses the qualities she admires in Jamie Fraser. After that, I saw this week’s Five Fandom Friday topic was OTPs. I didn’t (and still don’t) have enough OTPs to participate in FFF, but it did give me the idea to write about my favorite Ships in place of a Book Boyfriend. ♥Jamie and Claire♥ – Like Terri, if I were going to have a Book Boyfriend it would probably be Jamie Fraser. However, I’ve already got an IRL man that has many of the qualities I admire in Jamie. Also, the Boyfriend is a Scot from a well-known clan with a verra long history. So, I think I’ll keep him instead of pining for a fictional man. Besides, Jamie belongs to Claire, and they’re perfect for each other. Their marriage is the kind of marriage I hope to have, and before meeting the Boyfriend, Jamie and Claire gave me hope that it’s possible. I don’t ever want them to lose each other. ♥Eleanor and Park♥ – While I loved the book by the same title for more reasons than E and P’s relationship, this is young love at it’s finest. I hope that their love for each other blossoms into the kind of relationship that lasts a lifetime, but even if it doesn’t, the time they have together in the book is full of those moments that any of us who experienced our first romance in high school will never forget. I shipped them so hard I started reading the book a second time as soon as I finished it because I just couldn’t handle the book hangover. I also now have an E&P playlist chalk full of the Cure, the Smiths, and so many other great bands and songs the two of them listen to together. ♥Ceony and Emery♥- While I haven’t yet read the third book of the Paper Magician trilogy by Charlie N. Holmberg, I already know that these two get each other on a level that a lot of couples never reach. I have difficulty writing about them without getting all spoilery, so I’m just going to stop there. Why do I only have three Ships? My “Read” shelf on Goodreads is a pretty good indication that I rarely read books involving a romance. When I do, they’re usually not major parts of the story. So, while Harry and Ginny’s relationship resulted in marriage and kids, it wasn’t developed enough before the epilogue to make much of an impression. Ron and Hermione’s relationship is a little more developed, but they spend more time arguing than anything else, and Ron was never my favorite. Other series with the potential for a major Ship are ones that I’ve only read the first book, and so the relationship hasn’t grabbed a hold of me yet. What are your Ships? Are there any books or series I must read so I can add more Ships to my list?